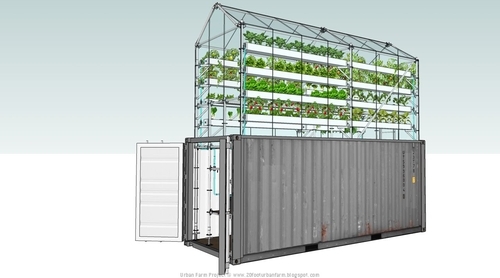 Another way to recycle old shipping containers. 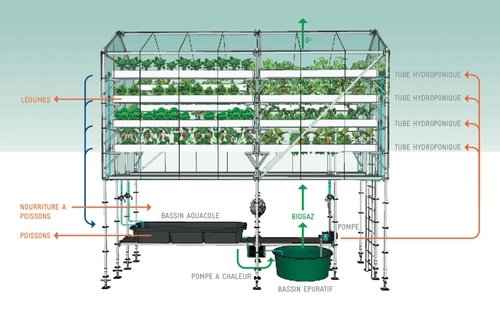 This apparently simple system is a a complex farm unit that allows growth of vegetables fish and also extraction of methane, as a by product of the fish water filtration. Damien Chivialle came up with this novel use of used equipment. 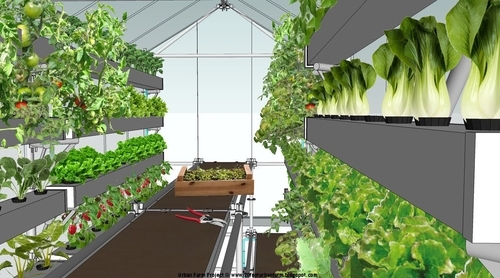 This process is a combination of hydroponic culture and fish farming. Fresh water fish are grown in the fish tank . The by-product from the tank is broken down into minerals by bacteria, in a lower tank (by-product of this step is methane that can be harvested). The water is pumped to the plants above. Plant roots are immersed and no extra fertiliser is needed to feed them. Excess water flows back down to the fish tank to start the process again. 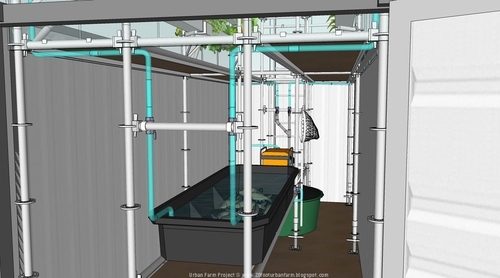 Fish Tanks and water purification system. Video description of the process and the aims of this system. It takes a while to get to the workings, but worth waiting for.